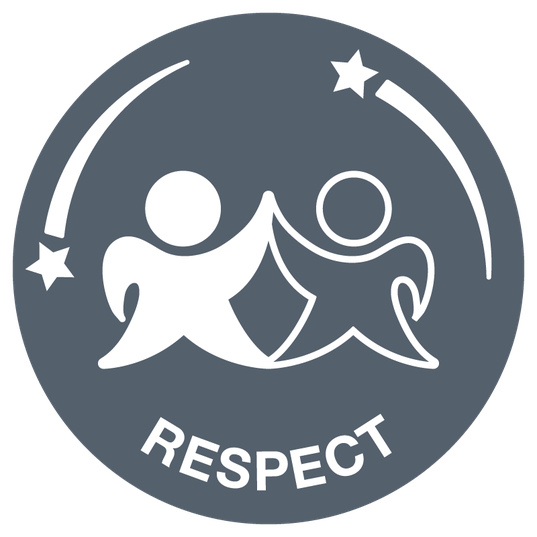 Each competition that the children participate in, focuses on one of the six school games values (below) which help to promote personal excellence through a range of behaviours, qualities and inter-personal skills. School Games Mark - We are delighted to announce that we have achieved the School Games GOLD Mark Award for the 2017/18 academic year. The School Games Mark is a Government led award scheme launched in 2012, facilitated by the Youth Sport Trust to reward schools for their commitment to the development of competition across their school and into the community, and we are delighted to have been recognised for our success. 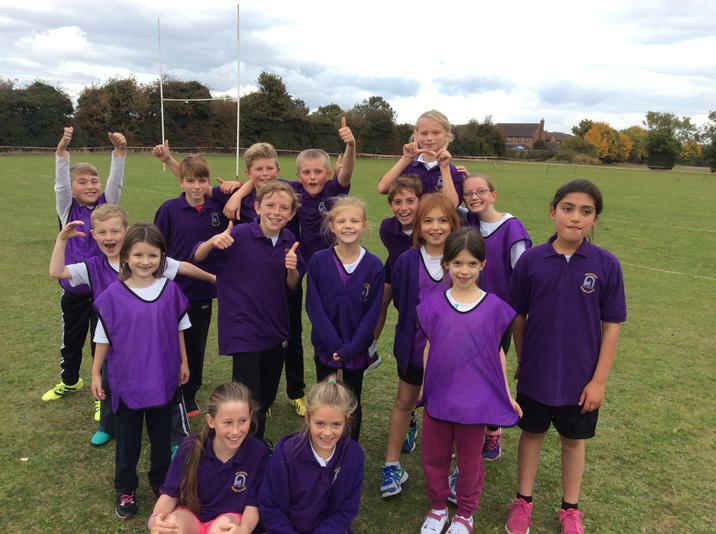 On Thursday 18th October 35 athletes made the journey to Bicester to take part in the School Games West Oxon Cross Country. The conditions were perfect and the athletes were ready. They had all been training extremely hard over the last 5 weeks and the training really paid off. Our Year 5/6 boys finished the day 5th and 19th, the year 5/6 girls finished in 11th and 25th and the year 3/4 girls finished in 9th and 23rd. The stars of the day were the year 3/4 boys who finished 3rd overall and will be progressing to the next round, with Seb Blizzard and Joe Spencer finishing in 6th and 7th after battling the whole way round! Macy Cookson also had a blistering run and came 7th in a very strong field! A fantastic effort from everyone involved. We are all proud of what they achieved! 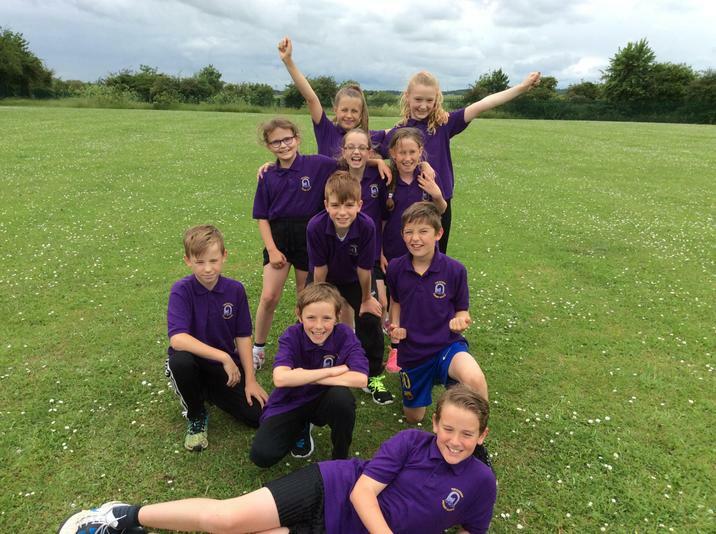 U9’s and U11’s Quadkids Final at Tilsley Park - On Friday 6th July we took 21 U9 and U11 children to Tilsley Park athletics track to compete in the Quadkids County Final. 250 schools across Oxfordshire entered the competition. And Gateway as a school have done amazing , we are totally overjoyed and proud. Each and every child showed great talent and determination. Despite soaring temperatures the whole team remained positive and supported each other throughout the whole day. The months of training and hard work resulted in the amazing overall positions of, U11’s 9th place and the U9’s bringing home silver medals finishing in 2nd place. U9’s and U11’s Quadkids Finals - Team Gateway attended the West Oxford Quadkids finals at Carterton Community College on Thursday 14th June. Both our U9’s and U11’s showed excellent Gateway behaviour. All the children were determined and their determination was rewarded with a 1st and 2nd place. The under 11’s were runner up across all of West Oxford schools, beating schools like The Bat, and the Blake to secure a place in the County Finals. Our under 9’s were the West Oxford winners! Securing the trophy for the first time ever (we think) and taking their place in the County Finals. Both teams have progressed and will be competing on Friday 6th July at either Tilsy Park, Abingdon or Horspath, Oxford. Mr Bell, Mrs Collett and Mrs Shepard couldn’t have been prouder of the children, all trying their hardest and got the reward they deserve. Swimming - Congratulations to the U11 Girls who took part in the second round of the West Oxfordshire Swimming Gala at Carterton Leisure Centre on Monday 11th June. The level of competition was very high this round, the girls gave it their all showing great determination cheering and supporting each other. Thank you to all the parents who came along and supported our little fish. Kwik Cricket - On Friday 8th June the whole of year 6 and some invited year 5s attended the U11s Kwik Cricket Tournament at Chalbury Cricket Club. The children were split into four pools and played 4 or 5 games, they all showed great sportsmanship and a ‘give it a go attitude’. It was a fun day out for the whole cohort and the staff too. 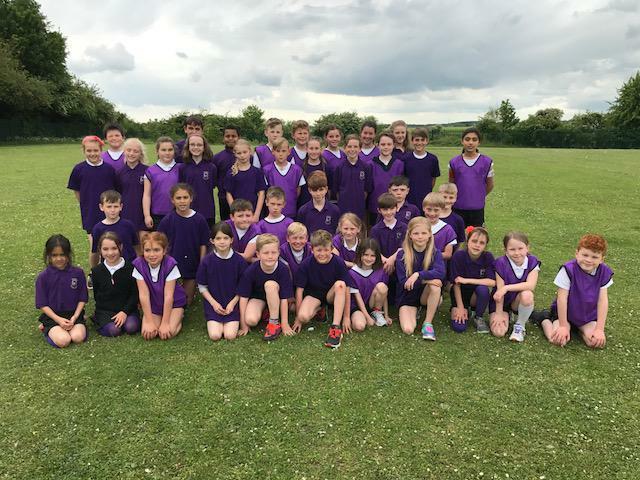 U9’s and U11’s Quadkids - On Thursday 31st May, 41 pupils went to Carterton Community College to take part in the U9 and U11 Quad Kids Tournament. This consisted on a long distance run, a throw, a jump and a sprint. Team Gateway really impressed with their athleticism and sportsmanship and showed excellent Gateway behaviour. Both our B teams came a very respectable 4th position. Our under 9 and 11 A team’s did fantastically and came 1st. They will be representing the Carterton Partnership at the West Oxford Finals next week up at Carterton Community College. 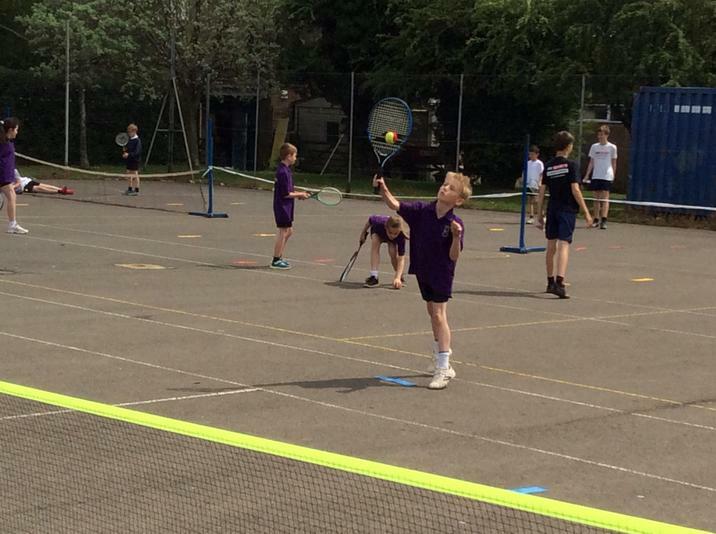 Tennis Yr 5/6 - On the 22nd May a team of four attended the West Oxfordshire tournament at Cokethorpe School competing against seven other schools. The children were, as always, amazing and showed great determination. 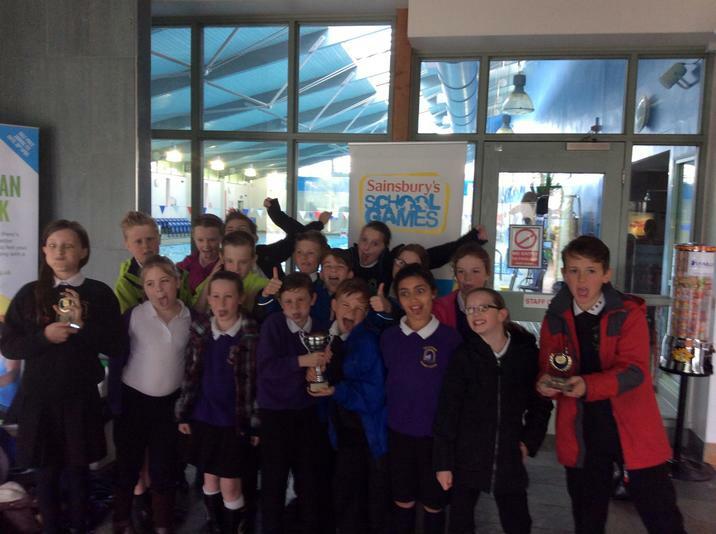 Swimming - On Monday 21st May, 16 pupils went to Carterton Leisure Centre to take part in the U11 Swimming Gala. Everyone who took part did fantastically well and showed real sportsmanship throughout the Gala. The children showed excellent Gateway behaviour and most importantly brilliant support to one another. Overall team Gateway came 2nd. The Boys A, B and Girls B came 4th, 5th and 4th respectably and all teams showed real grit and determination throughout the event! We are all looking forward to cheering on the Girls A team in the finals on the 11th of June! 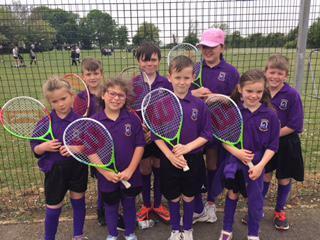 Tennis Festival Year 3 & 4 - On Thursday 10th May, 17 pupils went to Carterton Community College to take part in the U9 Tennis Festival. Everyone who took part did fantastically well and showed real sportsmanship throughout the tournament. All children who went showed excellent Gateway behaviour and most importantly brilliant support to one another. Overall team Gateway came 3rd and we are all incredibly proud of all the children. We would like to say a big thankyou to Mrs Smith and Mrs McGarry who took the children for the afternoon. U9s Football Final - On Wednesday 11th October, eight Yr4 pupils represented Gateway in the West Oxfordshire Large Schools 5-a-side football tournament. Gateway got through to the final which they played on Wednesday 18th April 2018. Nineteen teams were put into 5 pools, Gateway played fair and fast remembering to shake hands with the other players and sports leaders at the end of every match. Gateway showed great determination and teamwork and came 8th overall. Our thanks go to Mrs O’Brien for training the team and helping out on the day. 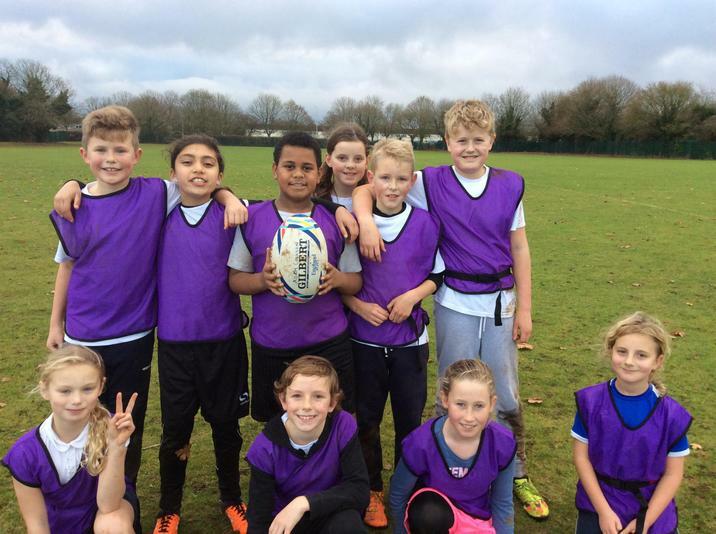 U11s Football Tournament - On Wednesday 14th March, 21 pupils took part in the U11 Football tournament which was held at Carterton Community College. We entered one boys’ team and two girls’ teams. The boys showed great determination against some tough competition and came 5th, Well done boys. The girls blue team came 2nd just missing out on 1st place by one point! And the girls red team came 5th, both teams played extremely well showing great sportsmanship, teamwork and courage to do their best even though football was not their sport. 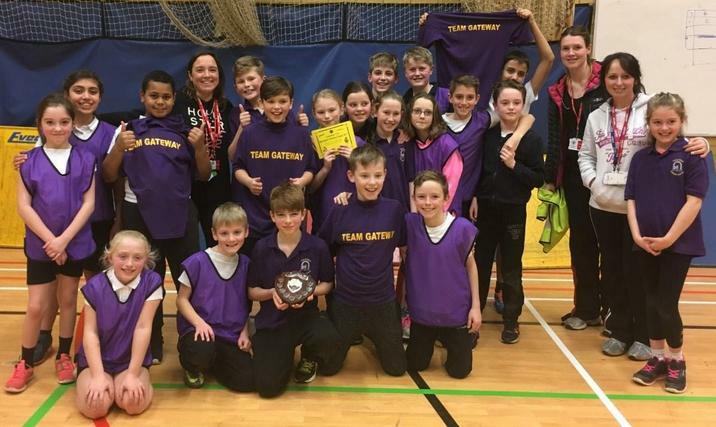 Indoor Athletics Final - On Tuesday 27th February, 23 under 11 pupils represented Gateway in the West Oxfordshire Indoor Schools Athletics Finals. The months of training, commitment and hard work paid off as they excelled in both field and track events. The determination and positivity from every child exceeded all our expectations and they should be extremely proud of how they represented the school. An outstanding performance from all led us to an amazing 4th place position. Netball Tournament - On Wednesday 21st February, 14 pupils took part in the U11 Netball Tournament which was held at Carterton Community College. Everybody who took part played amazingly well and showed great sportsmanship. Both teams once again showed fantastic behaviour, and most importantly, brilliant support and teamwork towards one another. Gateway A just missed out on second place and Gateway B finished in 5th place, the school are incredibly proud of the children's achievement and would like to say a HUGE thank you to Mrs O'Brien for being an amazing coach. 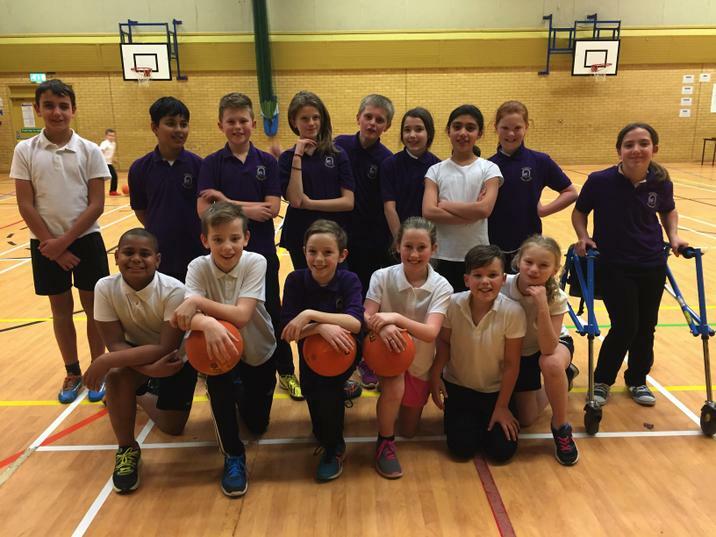 Indoor Athletics – On Monday 29th January, 23 pupils took part in the U11 Indoor Athletics competition which was held at Carterton Community College. Everybody who took part in the event was fantastic as an individual and as part of Team Gateway. They each showed great passion and determination in their events and there was a great sporting ‘buzz’ throughout! Gateway came 1st place and they now go through to the West Oxfordshire Indoor Athletics Final! Thank you to all the supporters who came along. 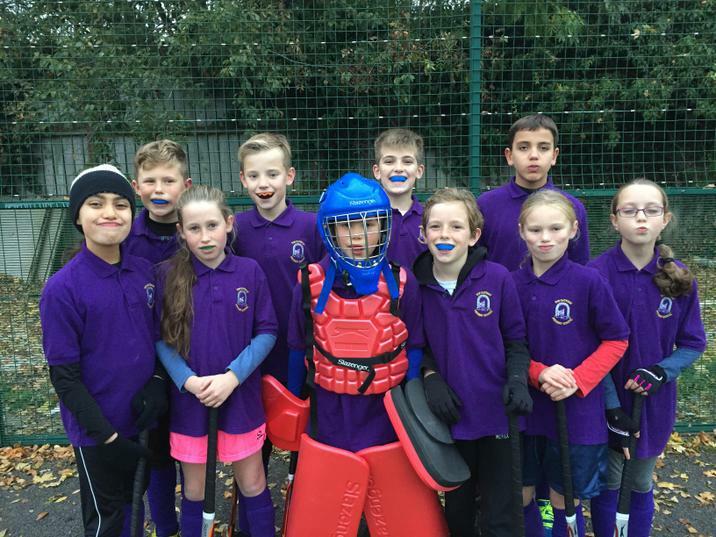 Hockey - On Monday 13th November, 19 year 5 & 6 children took part in the U11 Mixed Hockey Tournament at Carterton Community College. The children played incredibly well as a team and were a credit to the school. Unfortunately the A team missed out on 2nd place by 1 goal and our B team came 5th out of 7. Very well done to all of you who took part! Thanks to everybody who supported this event on such a cold day. Also a huge thank you to Mrs O’Brien for coaching our team on the lead up to the tournament. 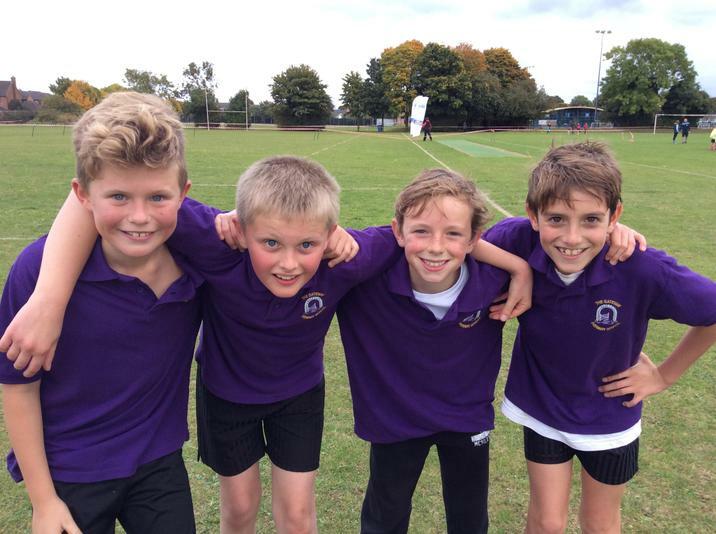 West Oxon Cross Country U11 - On Thursday 19th October, 31 children from years 3, 4, 5, and 6 took part in the West Oxfordshire Cross Country race at Witney Rugby Club. All the children who took part did fantastically well and we are very proud of them all for completing a very long race course in such a quick times. In each year group a girl and boy came within the top ten. As always, the children showed great determination and brilliant encouragement towards each other. Well done - you should all be very proud of yourselves! Thanks again to all who helped out on the day. U9 Mixed football - On Wednesday 11th October, eight Yr4 pupils represented Gateway in the West Oxfordshire Large Schools 5-a-side football tournament. Sixteen teams were put into 4 pools and Gateway were on fire to win their group, taking them into the quarter finals. Four weeks of dedicated training provided by Mrs O'Brien helped to take them through to the semi’s and then onto the final. We faced North Leigh in the final and after 6 minutes play, 2 minutes extra time it was still 1-1, unfortunately with penalties it just wasn’t meant to be. 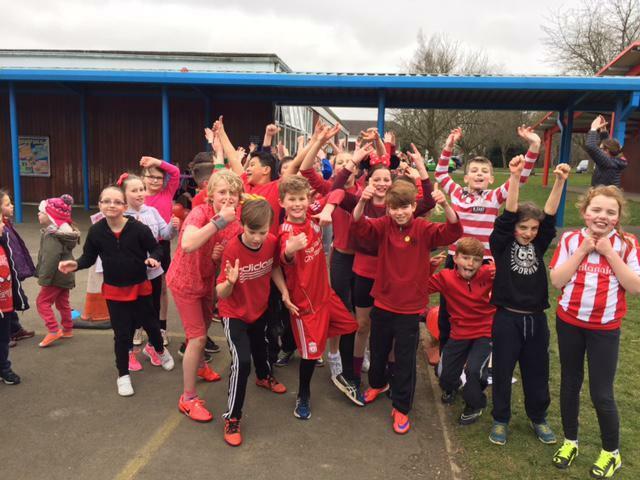 However, we still go on to represent West Oxfordshire in the Oxfordshire School Games finals after Easter… watch this space! The attitude of the team was amazing and they should all be very proud with how they played and represented the school. Glorious goals, super skills, awesome assists, great goalkeeping and daring defending! School Games Mark - In September, Gateway Primary School were awarded the Silver School Games Mark for their commitment, engagement and delivery of competitive school sport in 2016-17. We hope to make it another successful sporting year at Gateway! 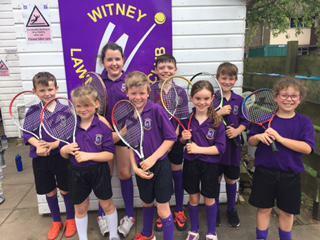 Tennis Yr 3/4 - On Thursday 25th May, we took the eight Year 3/4 children who qualified first in the Carterton Tennis tournament to the next round at Witney Tennis Club , where they competed against five other teams. It was a very hot day but as always the children showed high standards of behaviour, making Gateway proud. We came fifth with every child trying their best and showing great sportsmanship and teamwork, they played extremely well against some really tough competition. Well done TEAM GATEWAY! 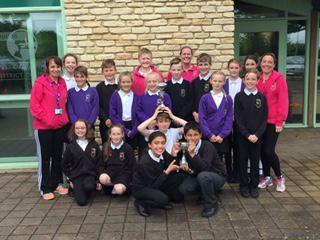 Tennis Yr 5/6 - On the 23rd May a team of four attended the West Oxfordshire tournament at Cokethorpe School competing against seven other schools. The children were, as always, amazing and got through to the semi - finals finishing third. 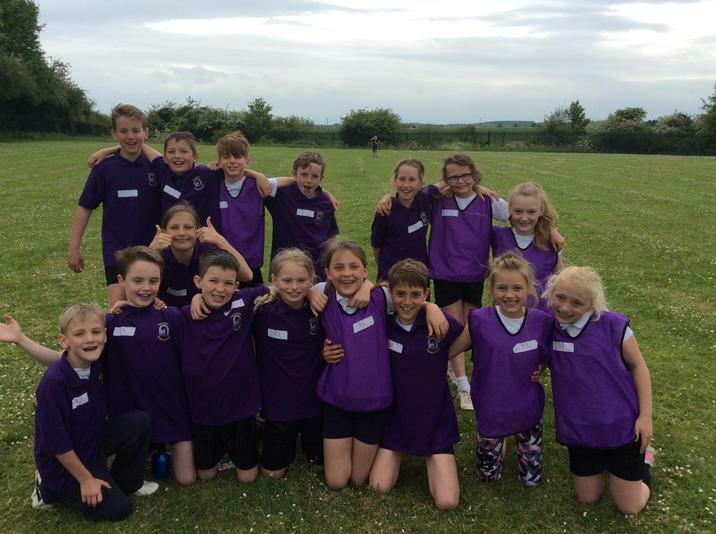 Quad Kids - On Thursday 18th May, 41 children from years 3/4 and 5/6 competed at the U11 & U9 West Oxfordshire Quadkids, which was held at Carterton Community College. Each child competed in 4 events (2 track and 2 field): sprint, long distance race, howler throw and standing long jump. 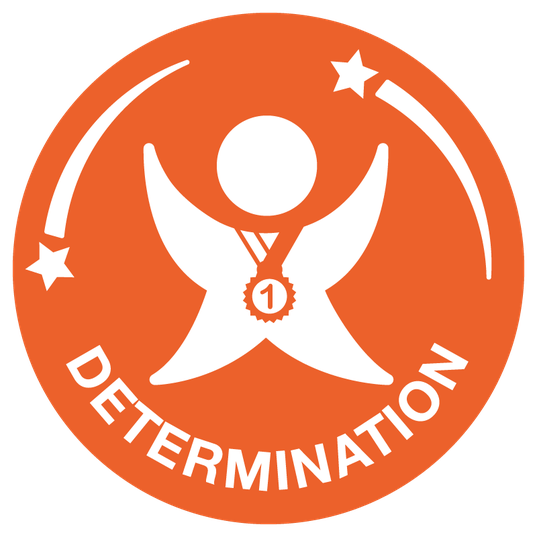 The Gateway pupils once again did the school proud, showing great determination, which was also the competitions school games value, as well as showing great support towards each other - they really did make a great team! With both A teams coming in 1st place, they have now made it through to the West Oxfordshire Final which will be held on Thursday 15th June. Thank you to everyone who came along and cheered the children on, Go Team GATEWAY! Swimming - Congratulations to all those who took part in the U11 Swimming Gala which took place at Carterton Leisure Centre on Monday 15th. Everyone swam fantastically well and Team Gateway came 1st Place with an incredible unbeaten record! Team Gateway have now made it through to the next round, which will be held at Carterton Leisure Centre on Monday 12th June. We would also like to thank the GSA for supplying the purple swim hats. 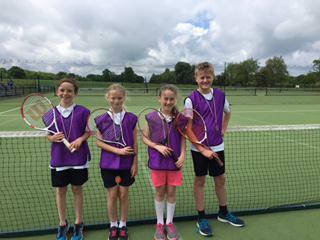 Year 3/4 Tennis - We took eight Year 3/4 children to a tennis tournament at CCC, where they competed against seven other teams from Carterton and Witney. Each and every child tried their best showing great sportsmanship and teamwork, shaking their opponents hand regardless of the outcome. Overall we came joint first with St Joseph’s primary, which means Gateway have made it through to the West Oxfordshire final on Thursday 25th May. We would like to congratulate them all and say how very proud of their behaviour and sportmanship we are. Indoor Final - On Tuesday 28th February, year 5 and 6 pupils took part in the Indoor Athletics Finals tournament at Carterton Community College. As usual, the pupils represented the school well in terms of sportsmanship and behaviour. All pupils tried their best in the competition and we managed to finish in joint fourth place. This is pretty amazing considering we were 8th in the first round. A special well done to Ellie and Finley who were the captains of the team. 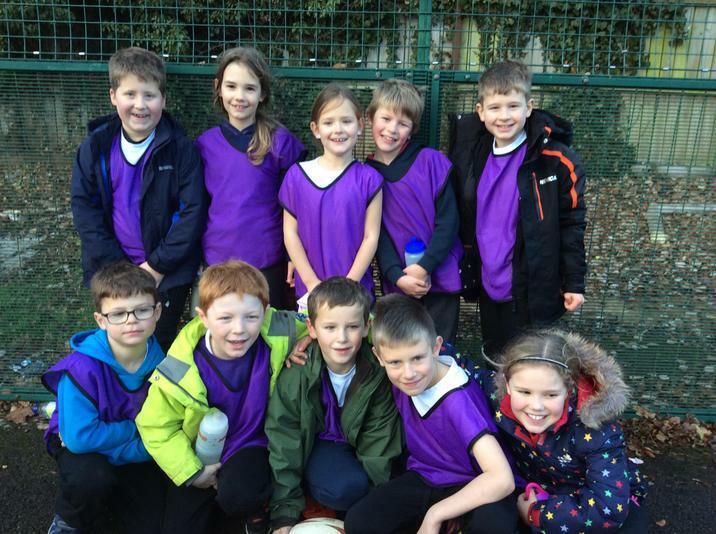 Netball Tournament - On Wednesday 22nd February, 15 year 5 & 6 pupils took part in the U11 Carterton Netball Tournament which was held at Carterton Community College. Everybody who took part played fantastically well as a team and it was an exciting event to be a part of and watch from the sideline. Both of our Gateway netball teams made it through to the finals, which meant they had to play each other to fight for the 1st place position. Unfortunately only the winning team could go through to the next round, but we would like to wish them the best of luck! The school are incredibly proud of the children's achievement and would like to say a HUGE thank you to Mrs O'Brien for being an amazing coach over the past few months - your hard work has certainly paid off! Indoor Athletics – On Monday 30th January, 20 year 5 & 6 pupils took part in the U11 Indoor Athletics competition which was held at Carterton Community College. Everybody who took part in the event was fantastic as an individual and as part of the Gateway Team. They each showed great passion towards their events (passion was the school games value for this event) and there was a great sporting ‘buzz’ throughout! Gateway came 1st place and they now go through to the West Oxfordshire Indoor Athletics Final! Thank you to all the supporters who came along – 1st place for you too! 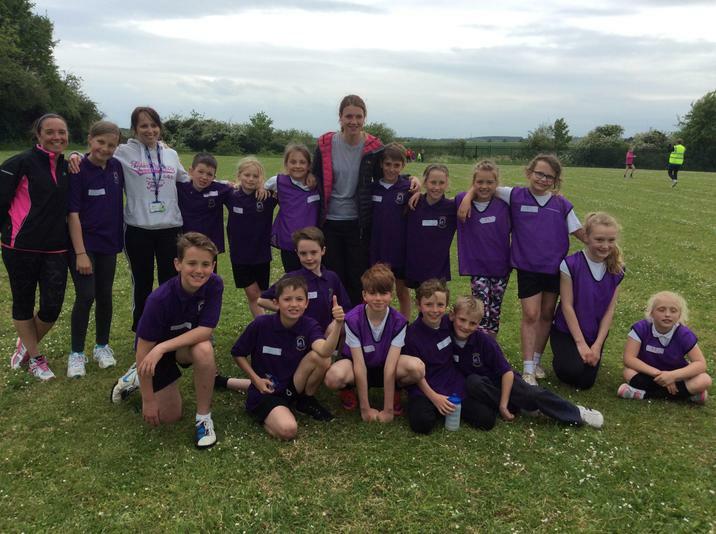 Multi Skills - On Wednesday 18th, all Year 3 pupils went to Carterton Community College for the afternoon to join other schools from around Carterton to take part in a multi skills event. They worked on balancing, agility and being part of a team. They had a brilliant time and were definitely exhausted by the end of the afternoon. Tag Rugby - On Thursday 8th December, 21 year 3, 4, 5 & 6 children took part in the U9 and U11 Tag Rugby event held at Carterton Community College. Both teams played amazingly well, showing off their brilliant rugby skills. The U11 team came 4th and the U9 team came 2nd. Each team cooperated effectively together and showed great sportsmanship towards their opposing teams, shaking their hands at the end of every match. Well done to everyone involved; another fantastic sporting event for Gateway. Dance - On Thursday 10th, the Year 4 children enjoyed an exciting morning of Viking dance at Carterton Community College. They modelled the life of a Viking, including being warriors, working and life at sea through a range of dances. They had a lot of fun and learnt some fantastic new dance moves. Hockey - On Tuesday 8th March, 10 year 5 & 6 children took part in the U11 Mixed Hockey Tournament at Carterton Community College. They children played incredibly well as a team and were a credit to the school. Unfortunately the children missed out on 2nd place by 1 goal however they did win the School Games Value trophy - Respect. They showed the games value consistently throughout the tournament, especially towards their opposing teams. Very well done to all of you who took part! Thanks to everybody who supported this event! A special thank you to Mrs O'Brien for running the hockey club - the children have loved it! 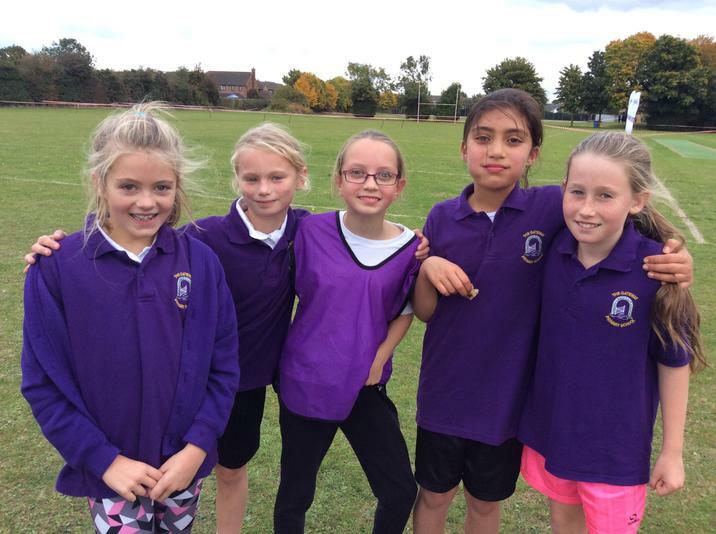 Cross Country - On Thursday 20th October, 17 children from years 3, 4, 5, and 6 took part in the West Oxfordshire Cross Country race. All children who took part did fantastically well and the school were very proud of them all for completing a very long race course in such a quick time. As always, the children showed great determination and brilliant encouragement towards each other. Well done - you should all be very proud of yourselves! Thanks again to all who helped out! 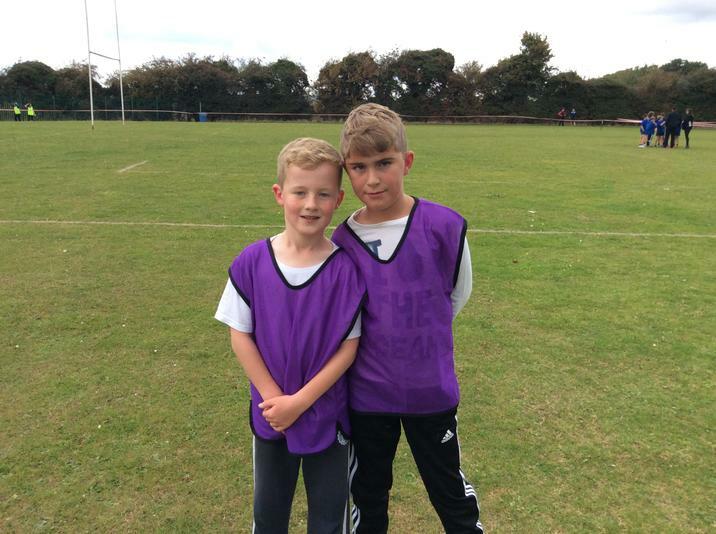 Football - On Wednesday 12th October, 5 children from year 4 took part in the U9 Mixed Football Tournament, held at Carterton Community College. The team played 4 games against other West Oxfordshire schools and had great fun. The children showed great teamwork and were always smiling. Well done to all the children who took part and thank you to those who came and supported. 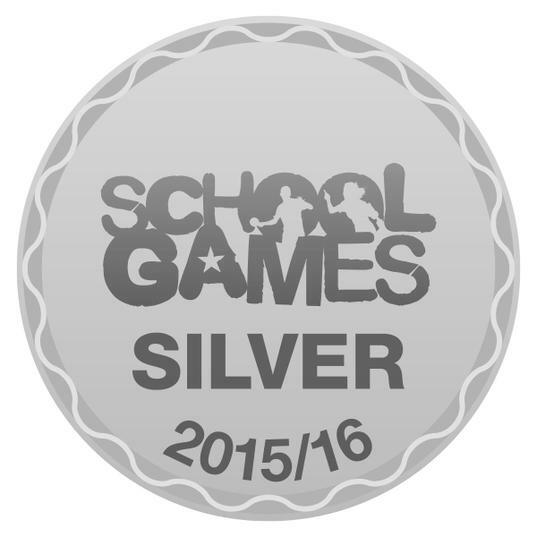 School Games Mark - On Friday 23rd September, Gateway Primary School were awarded the Silver School Games Mark for their commitment, engagement and delivery of competitive school sport in 2015-16. We hope to make it another successful sporting year at Gateway! 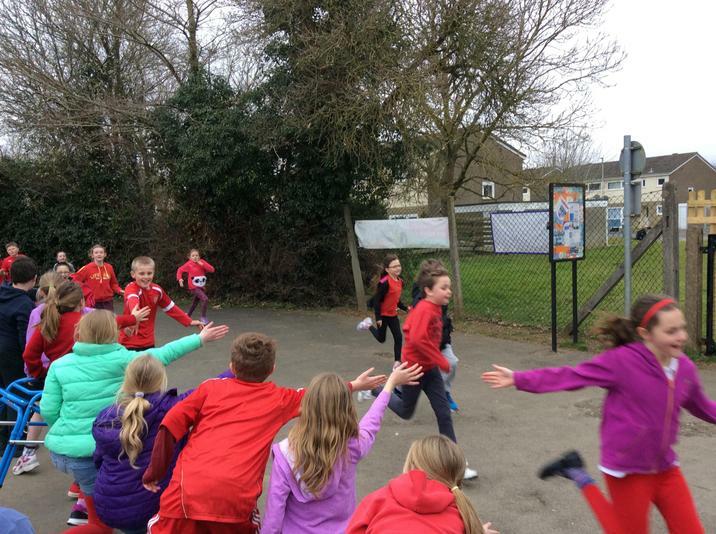 Sports Relief - On Friday 18th March, all Gateway pupils participated in a 1 mile run/walk/skip/hop around the school grounds to raise money for the amazing charity, Sports Relief. 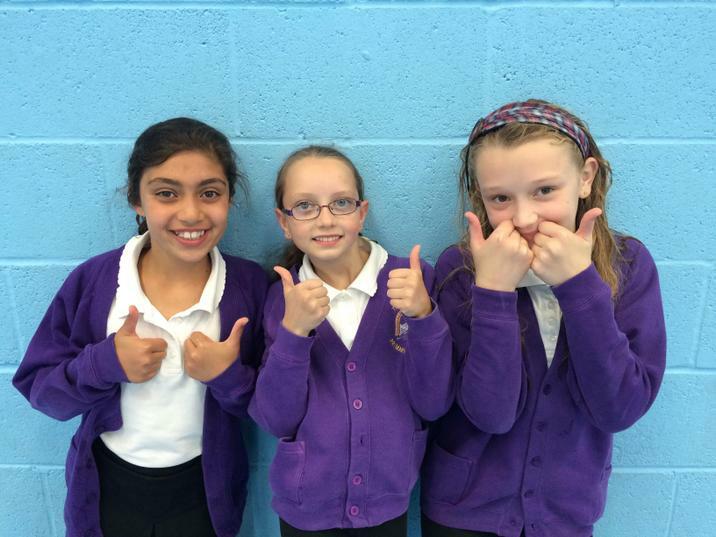 All pupils did fantastically well and thoroughly enjoyed completing their miles. Well done to everybody! Swimming - Congratulations to all those who took part in the U11 Swimming Gala which took place at Carterton Leisure Centre on Monday 18th. Everyone swam fantastically well and Team Gateway came 1st Place with an incredible unbeaten record! Team Gateway have now made it through to the West Oxfordshire Swimming Gala, which will be held at Carterton Leisure Centre on Monday 16th May. 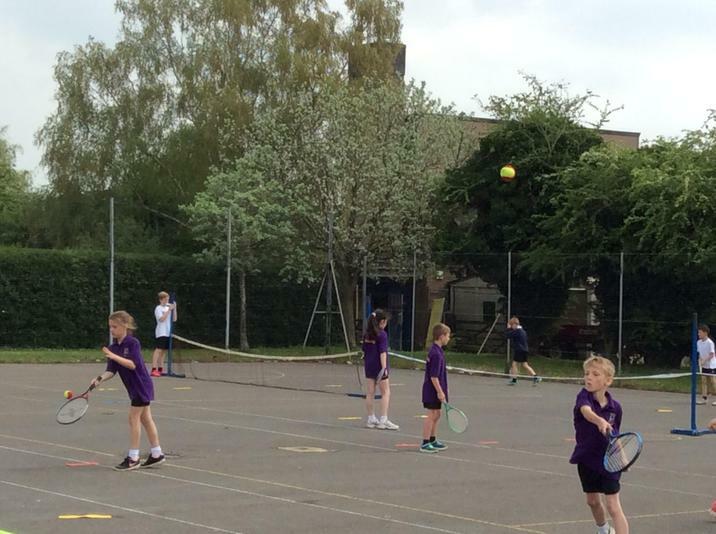 Tennis - On Thursday 12th May, a group of Year 3/4 children took part in the Open West Oxon Tennis Festival which was held at Carterton Community College. The children really enjoyed the afternoon and some great tennis was played by all. 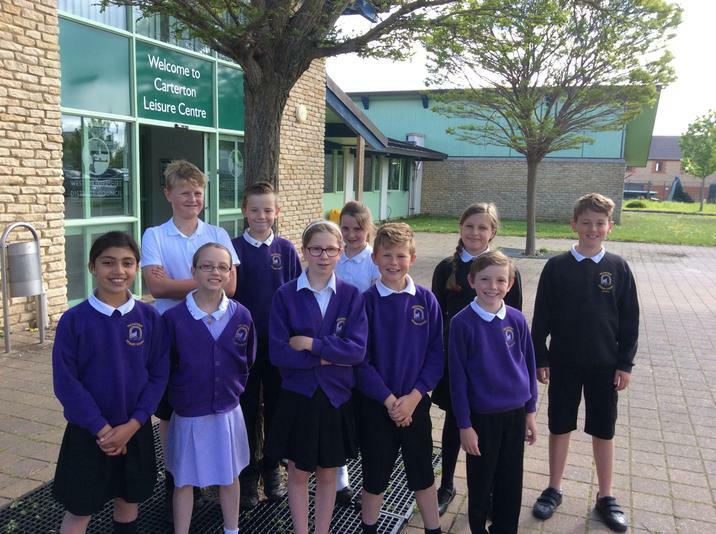 Swimming - Congratulations to all pupils who took part in the second round of the West Oxfordshire Swimming Gala which took place at Carterton Leisure Centre on Monday 16th May. The children's behaviour was impeccable throughout the gala, cheering and supporting each other on, but they also swam amazingly well against the 5 other opposing teams showing great determination. The level of competition was very high and unfortunately the boys missed out on going through to the finals by 1 point to West Witney. The girls team have successfully made it through to the finals and we wish them the best of luck! A special well done to Eloise and Finley who came first in their individual races and now hold the record time for the competition! Again, thank you to everyone who came and supported and well done to everyone! 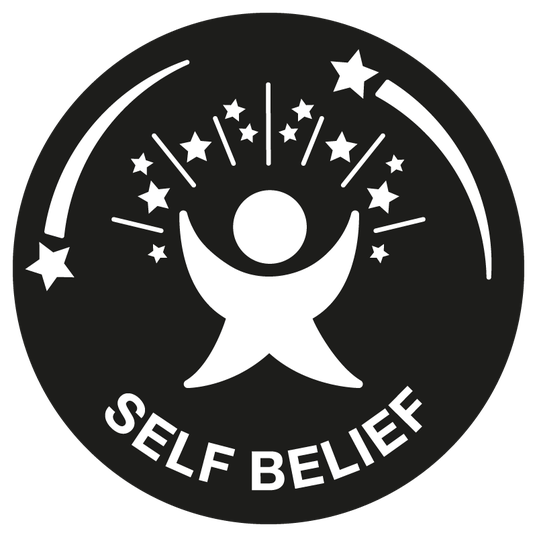 'It was a fantastic experience and I am very proud of the teams determination and achievements' - Eloise, Year 6 pupil. 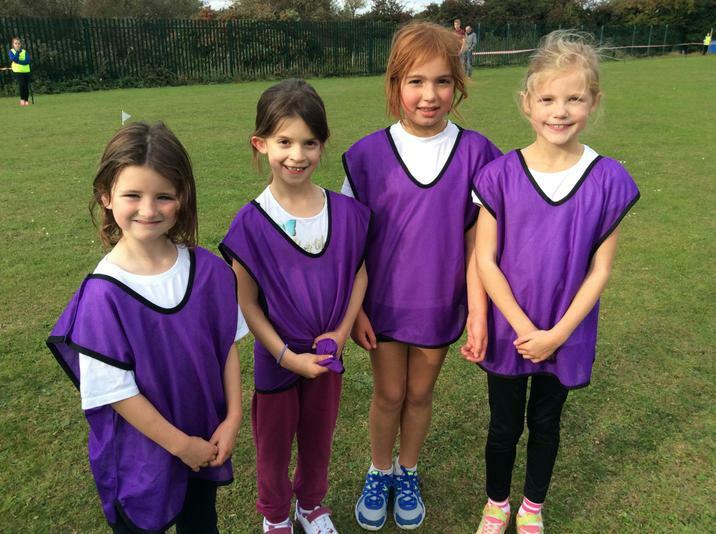 Quadkids - On Thursday 19th May, 16 children from years 4, 5 and 6 competed at the U11 & U9 West Oxfordshire Quadkids, which was held at Carterton Community College. Each child competed in 4 events (2 track and 2 field): sprint, long distance race, howler throw and standing long jump. 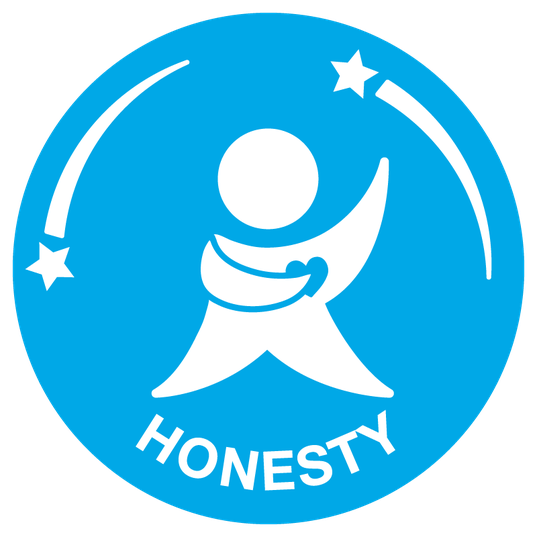 The Gateway pupils once again did the school proud, showing great determination, which was also the competitions school game value, as well as showing great support towards each other - they really did make a great team! With the U11s coming a super 1st place, they have now made it through to the West Oxfordshire Final which will be held on Monday 13th June. The U9s performed just as super, however disappointingly just missed out on going through to the finals, coming 2nd place to St Johns. A massive well done to everybody who competed! Once again, the Gateway support came 1st place too :) Thank you to everyone who came along and cheered the children on! Quadkids - Well done to all children who took part in the U11 Quadkids Final on Monday 13th at Carterton Community College. The competition was tough but nevertheless our athletes did great, all gaining BPs since the last Quadkids competition! 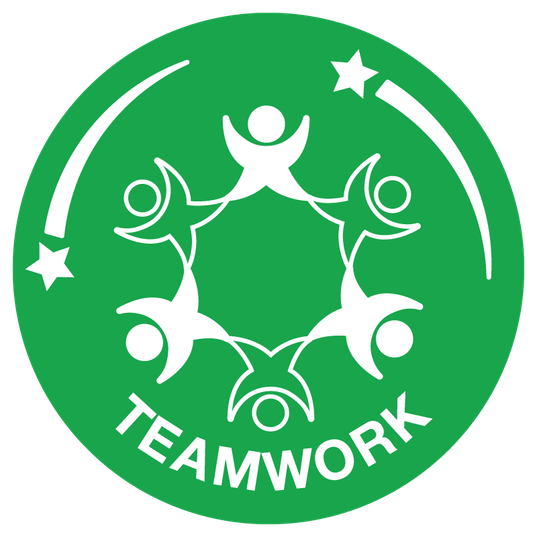 Competing against 7 primary schools from across West Oxfordshire, our pupils once again showed true sportsmanship, fantastic behaviour, and most improtantly, brilliant support and teamwork towards one another. Overall, Gateway came 6th place and I couldn't be more proud of what they had achieved - their determination was INCREDIBLE! Once again, thank you to all the Gateway supporters! Olympic Morning - Years 1,2,3 and 4 attended an Olympic morning at Carterton Community College on Thursday 23rd June with 4 other primary schools from Carterton. Each school dressed in the colour of one of the olympic rings and represented a continent in the opening cermony. We were Africa. Our children were amazing. We danced, sang and drummed our way through our performance. We were lucky enough to be joined by Olympic medalist Jamie Baulch who talked about his school experiences and his inspirations. Each year group then went to try out a sport. We had lots of fun trying out golf and tennis and had lots of energy with obstacles and running. Swimming - On Thursday 7th July, 4 year 5 girls took part in the Oxfordshire School Sports Swimming Finals at Radley College, Abingdon. All swimmers swam amazingly well against the tough competition, 12 primary schools from all over Oxfordshire, and we couldn't be prouder of their determination and achievements shown on this day - you were all fantastic! A HUGE thank you to the parents who came along and supported their children too, the school really appreciate your help! Izzy Thomson absent from the picture.